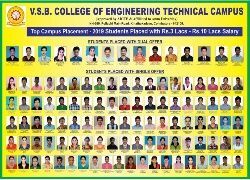 Our College is located on NH-209 about 22 kms from Coimbatore on Pollachi to Coimbatore road. Physically, it is dotted with majestic buildings, arterial roads, green carpeted lawns and brimming trees. Each department is complete and unique in sense. The Laboratories equipped with modern equipments beckon the future Engineers into its realm.